Learning when to prune can be confusing when there are different rules for many different plants, and even differing rules that vary by cultivar! 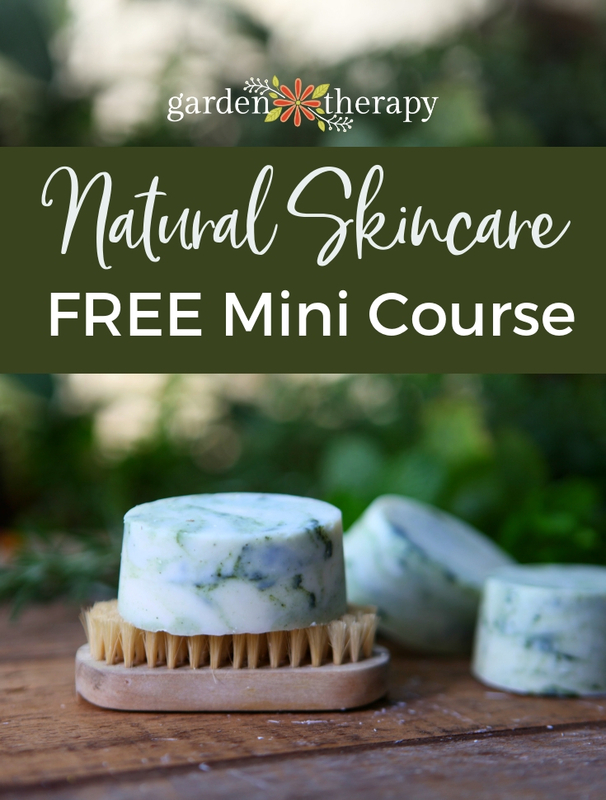 This guide takes away all of that confusion by looking at the basics of how plants grow and using that as your foundation. With just a bit of logic you can take these basics and apply them to most of the jobs in the home garden. 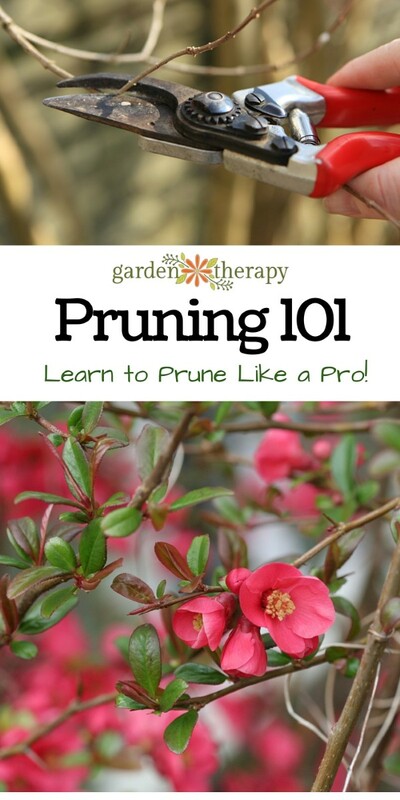 This article covers the question “When Should I Prune (…)?” If you would like to know HOW to prune, please click over to Learn How to Prune like a Pro! 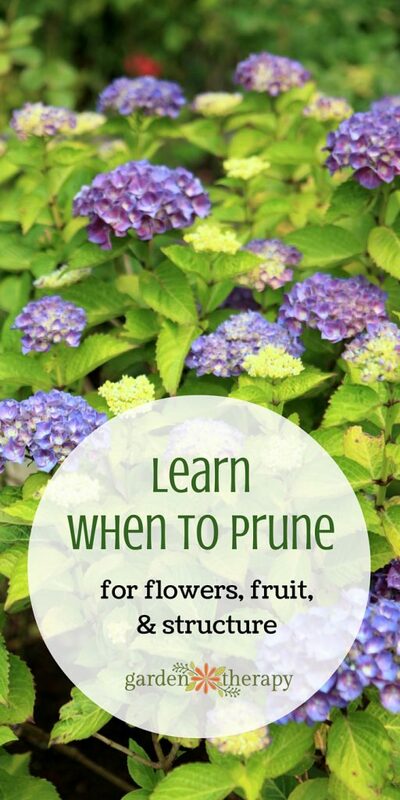 Pruning 101. There is a “best” time to prune various plants and it’s not always the same. If you are trying to decide when to prune a particular plant in your yard, I suggest you look up your plant’s particular pruning guidelines in a garden book or online. 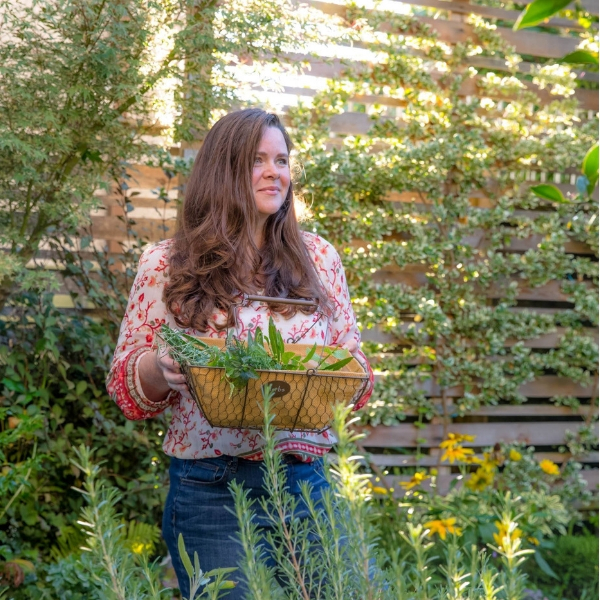 If you are looking for a guide that you can use throughout the year to help you know what and when to prune with your specific garden in mind, then you will look at your grouping of garden plants as workers and decide where they are putting their energy. Plants big or small live their lives working towards the same goal: to grow to mature height, set fruit, then set seeds and continue the species. That’s their job. Think about plants doing their job in terms of energy. In spring, the plant’s energy is in the soil moving its way up through the trunk and branches and forcing for life in new growth. In summer, the energy exists in the trunk, branches, leaves, and flowers as it works to fruit. In fall, the energy is giving the tree a final push to set seeds then drop leaves and head back down to the roots. In winter, the energy is stored in the roots while what is above ground faces winter cold. Let’s use an unnamed deciduous tree as an example. This particular tree is dormant in the winter. In spring it buds and leafs out. It sets flowers and fruit in summer and ripens to seed. The seeds are planted elsewhere by squirrels caching food for the winter. And in fall, the plant drops its leaves to prepare for energy-saving winter dormancy again. Now, think of what response this plant will have to pruning based on where it is putting its energy. In winter dormancy, the plant’s energy is stored below the surface in the roots. Pruning branches at this time will result in less space above the ground for all the energy stored in the roots, therefore it will encourage vigorous new spring growth. In the spring, when the flower buds and leaves are forming, pruning could cut off new buds and reduce or eliminate flowering for that year. In the summer, after flowering and before fruiting, pruning off some of the flowering branches will direct the plant’s energy into the remaining fruit, making them more robust. In the fall, when the fruit has turned to seed and the tree is losing its leaves, pruning reduces the amount of energy held in the branches, sending less down to the roots for winter dormancy. Now of course, not all plants flower, fruit, set seeds, or go dormant at the same time of year. Some flower in fall and fruit in the winter, others flower in winter and go dormant in the summer. And some plants skip various stages or go semi-dormant, like certain evergreens. Regardless, you can still think of where the energy is when pruning as a guide for when to prune. Pruning during dormancy results in enthusiastic growth after dormancy. This can be good for plants requiring invigoration but bad for trees that will send up a bunch of unsightly water sprouts with all that extra energy coming from the roots in spring. Pruning before buds form can increase the vigor of deciduous suckering shrubs and roses. Pruning after buds form can eliminate flowering which is good for invasive plants but bad for ornamentals. 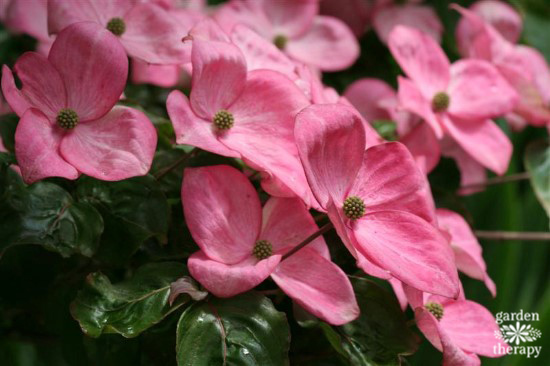 Pruning after flowering is a good way to manage overall shape and size of ornamental plants. It can also encourage bigger, sweeter fruit which is great for fruit trees. Pruning after fruiting is good for setting the stage for the next year. The plant’s energy is now in its mature stage above ground and cutting off the branches at this stage will not encourage more growth to be sent to replace it. Pruning after the fruit sets seed can be stressful for the plant because it has worked tirelessly to do its job and is now it is at its lowest point of energy. It can also encourage disease as the plant will be slow to heal. Pruning coniferous evergreens can be done at any time of the year, but the best time to prune them is in the cooler weather when the sap is less likely to cause a mess in the garden. Sap flows steadily in the spring as the weather warms up. Pruning in the summer or during dry spells can be beneficial if your plants are prone to disease. Warm, dry summer weather is less likely to spread diseases than wet weather. 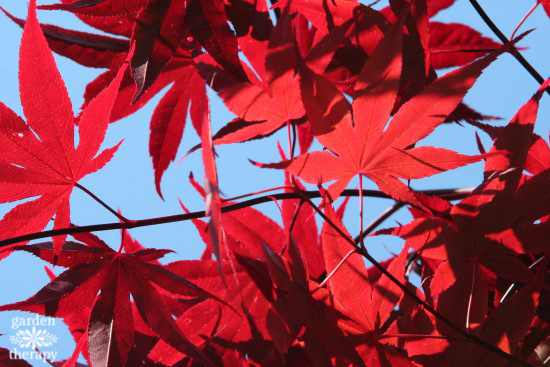 Pruning deciduous plants in winter is convenient as you can more easily see the structure. Thinking about when to prune in this way has greatly helped me in my quest to garden in a way that supports proper plant growth. It helps me to work with the plants and not against them, ensuring that they are healthy and well-loved, and most importantly, less maintenance. If you have any tips, ideas, questions, or notes to share, please add them to the comments section. We can never have too much pruning help from wise gardeners! Thank you for the interesting information. I love the garden and plants so march. My garden -is continuous bloom on the photo. I will be glad to communicate with you. Sincerely. Victoria from Ukraine.